Before you dive into our free online Italian course, let’s take a moment to talk about Italian fluency. Lots of people begin their language studies with an aim to become fluent in Italian. While that’s a great goal, it can be somewhat misguided–not because Italian is hard, but because fluency is a myth. Let me explain. Many people would argue that how to become fluent in Italian is a function of immersion, with an aim of speaking like a native, but let’s unpack that for a moment. Let’s think of a 3-year old girl, and for the sake of argument, let’s call her Francesca. She was born in Venice, and is growing up speaking Italian. No one would argue that she is not a native speaker. But is Francesca fluent in Italian? Hardly. She doesn’t really know the alphabet all that well, her vocabulary is comprised of only a few hundred words, she makes grammar mistakes all the time, and she cannot read or write. So in this scenario, Francesca is learning Italian through immersion, and she’s a native speaker, but she’s not fluent. Let’s use another example: Leonardo is a 30-year old who grew up in Los Angeles. His mother and father are from Italy, but Leonardo has never been outside the United States. Also, from the age of 3 onwards, Leonardo attended a fancy private school, where the major language was English. His command of the Italian language is strong, but he doesn’t feel like a native speaker. He knows all the words and phrases his parents know, he never makes any grammatical mistakes, but he has a slight accent, and he stammers when he speaks Italian. In his heart, Leonardo is always wondering how to become fluent in Italian. The truth is that there is no set definition of fluency in Italian or any other language. How to become fluent in Italian is a rhetorical question, like, “How do I become a better person? There is always room for improvement, and your final goal will depend greatly on your reasons for learning Italian. For example, do you want to become fluent in italian so you can speak freely with others? Are you a translator who needs to become fluent in Italian so you can work with written documents? Your personal goals and circumstances will dictate your personal definition of Italian fluency. This is important to keep in mind so that you can maintain your motivation. For example, if you struggle to spell Italian words properly, but your real goal is to speak to everyday people, then what’s the fuss? At the same time, if you cannot perfect your Italian accent, but your aim is to work with written documents, why would it matter? 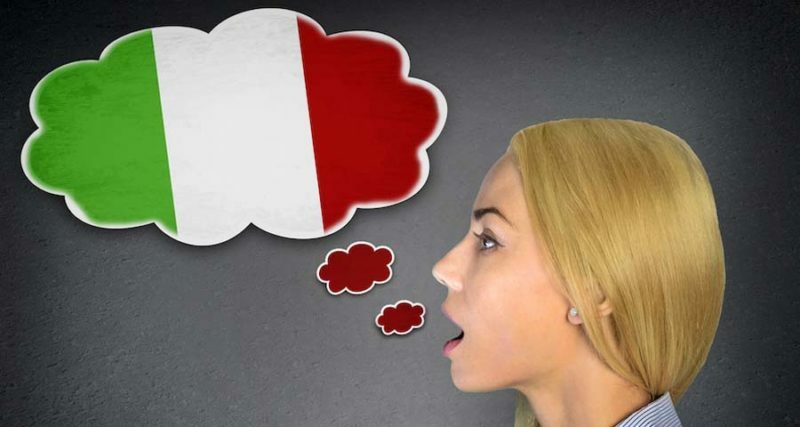 So before you begin OptiLingo’s free online Italian course, ask yourself what you are looking to accomplish and how you would define Italian fluency – if that’s even a goal at all – and choose the right set of Italian lessons accordingly.